In a version of the workplace as nostalgic and bittersweet as a Normal Rockwell painting, employees once took great pride in their job performance. Far fewer errors slipped through the cracks, less merchandise was returned by irate customers, and it was virtually unheard of for our government to recall a product because it was unsafe or downright deadly. In those days, employers also reaped decent profits. So what the heck has happened to the pride that American workers once took in their jobs? To gain a semblance of an honest answer, we need to scrutinize, realistically, the evolving structure of the workplace. In decades past, job functions were much more clearly defined. Employees paid to produce a product, for example, were relegated to one or two well-planned tasks. For example, workers in a garment factory would be charged with laying out and cutting fabric according to master patterns. Sewing machine operators would then assemble the cut fabric (i.e., the arms and body of a blouse). Once assembled, the blouses would pass to those workers responsible for finishing the items: attaching buttons and embellishments such as lace trim, or embroidering small designs onto the pockets. A foreman or forelady oversaw these processes and assured quality at every stage, as well as timeliness. Nowadays, employers expect a single worker to cut, sew, and finish X-number of shirts within a specific timeframe, police themselves for quality, and in between the shirts, manufacture X-number of skirts as well, to the most exacting standards. At the risk of making an unintended pun, we are not embroidering here. The average worker is not only commanded to multitask throughout the workday, she will be terminated if she cannot, and if she cannot do so properly. Her incoming email chimes continually, simultaneous with the ringing phone. On the other end of those calls, including the four that she has on hold, everyone wants something now, and they want it done right. They don’t care about the needs of the other parties hanging on the line. As the employee keeps all of these balls in the air, an Excel spreadsheet burns on her computer, just waiting to be populated, and that pile of unanswered correspondence on her desk gets higher and higher. In this quicksand of a workload, she’ll make valiant attempts not to sink. She’ll shuffle schedules, pretending she’s not at her desk so as to ignore the electronic messages and meet deadlines. But somewhere along the line, she’ll make an error, perhaps a fatal one. If that error doe not tick off one of your key customer accounts, your harried employee may direct the logistics department to ship 60 cases of the wrong product. Maybe your worker will neglect to integrate the costs of packaging that new product into a PowerPoint presentation she’s creating for you to deliver to your own boss, who establishes pricing. One way or another, your multi-tasking, overtaxed employee will cost you, sometimes, irreparably. Is it really her fault, and should you fire her? If you terminate her, who will replace her? An automaton, or another human prone to make the same errors under the same conditions? And what will it cost you in time to train that new worker and throw him a learning curve? Or — is the error your fault, for expecting too much of a single human being? Are you and your employee merely casualties of an ever-tightening economy, and is this an argument as circular as a hamster’s wheel in motion? A rotten economy means layoffs, and layoffs mean that the workers still standing are compelled to perform the work of three or four of their colleagues. If you are an employer, you must weigh the costs of mistakes created by the necessity to manage an inhuman workload, against less productivity and better quality of work. What happens if your productivity dips a bit? Is it better to deliver a finer product, or the correct product, or a more personalized form of service, or is it better to get the job done faster, in a shoddy/costly manner? When the competition for business is as fierce as a lioness protecting her cubs, what, truly, is the answer? By putting yourself in the shoes of your clients, the solution becomes a lot clearer. If, for instance, you, the hypothetical customer, have placed an order for 12 cases of lemon syrup with which to make lemonade for your casual restaurant during the summer months, is it better to receive the shipment four hours later than promised, than to receive 12 cases of blueberry syrup that must be returned as you wait another two days to get the correct flavor? We’re not advocating that you bring your business to a grinding halt, and we’re not suggesting that you direct your employees to manage one single task at a time. But you should not expect them to manage six tasks at a time. And when you make your hiring decisions, do look all gift horses in the mouth. Younger applicants can appear more energetic, and often are. 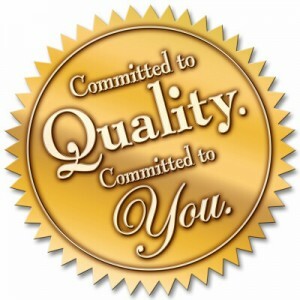 But energy does not necessarily equate to quality. Consider hiring a mature employee whose work ethic may be more stringent than that young kid brandishing his brand new degree. Not every kid fresh out of school is going to mess up, and not every older worker is going to be on the ball 100% of the time. So, when you hire from among the myriad job hopefuls, do so with a grain of salt. A worker who tells you up front that he may not be as fast as his younger competitors, but that he’ll get the job done right the first time, can be well be worth the costs and embarrassment of undoing the blunders of too-good-to-be-true multi-taskers.